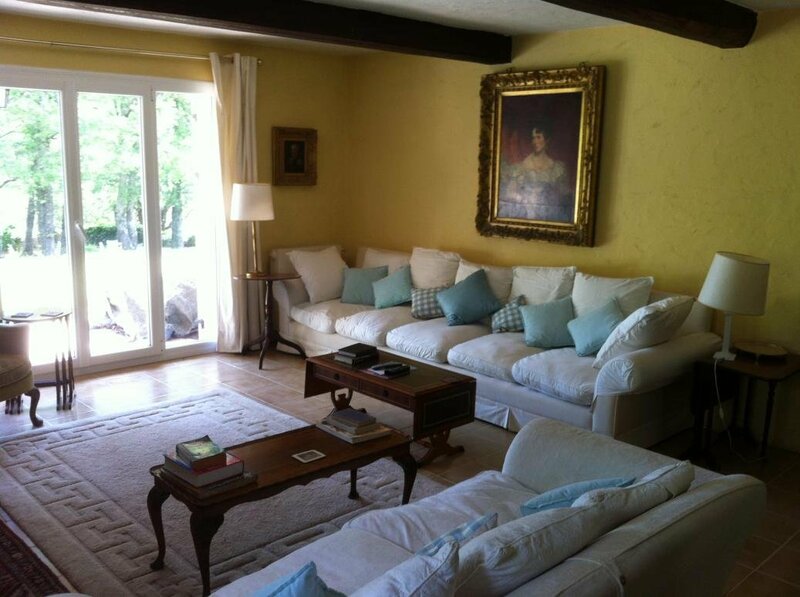 The main open plan living room is approx 45m² and has French windows at each end. 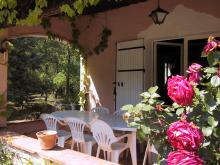 There are splendid views from the sitting room area across towards the village, and from the dining room towards the red rock hills of the Esterel. 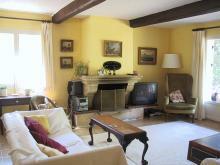 The sitting room area has a large open fireplace, two large sofas, armchairs, satellite* television video and DVD player. 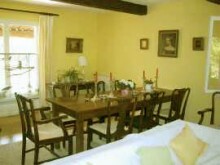 The other half of the room is the dining room with a long dining table and chairs. There is also a Bechstein grand piano. The French windows from this end give onto a south facing covered terrace with table and chairs, ideal for outside dining. 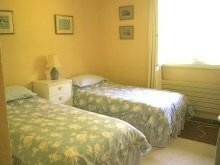 There is one double bedroom and two further bedrooms each with twin beds. 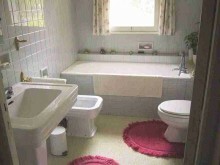 There is a bathroom (bath, loo, bidet and basin) plus a further separate shower room (shower, loo,bidet and basin). 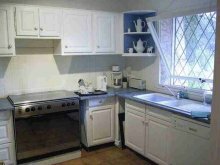 The kitchen is fully equipped with fridge, large gas hob and oven. 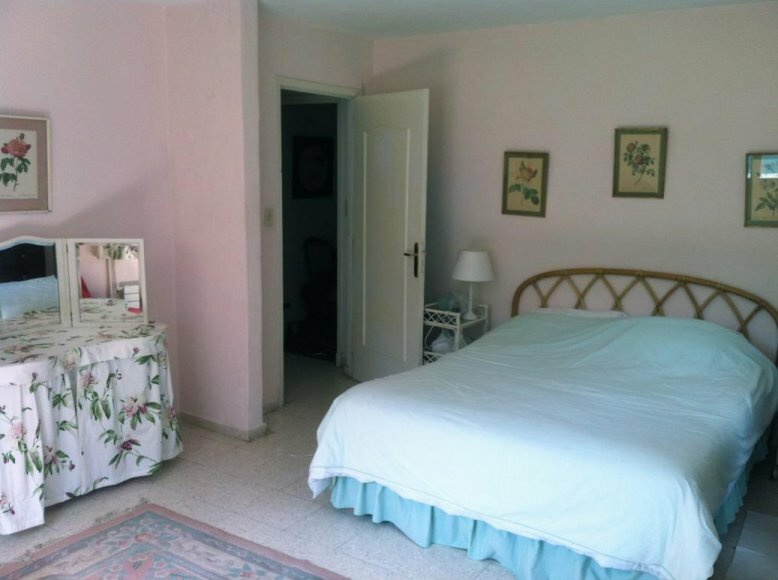 There is a dishwasher and microwave. * Please see the note on the information page about satellite TV reception.